Opened in May 2014, the new Terminal 3 at São Paulo’s Guarulhos International Airport continues to expand. During August 2014 four more airlines moved to the new terminal. These included Air France, British Airways, KLM, and Iberia. They join Air Canada, Alitalia, China Airlines, Emirates, Etihad Airways, Korean Air, Lufthansa, Qatar, Singapore Airlines, Swiss Airlines, TAP, Turkish and United, that have already moved their operations to the new terminal. The main Brazilian carrier, TAM, will move later in the year by which time 80% of the airport’s international flights will be using the terminal. A number of new shops and restaurants have also opened including landside the first Brazilian branch of Red Lobster which is located in the hallway that links Terminal 3 and 2. Other food options include Garrets, Carl’s Jr., Jimmy’s Buffet Margaritaville Ráscal, Viena Snacks, Desfruti, Olive Garden, Piola Piola and Casa Bauduco. Stores include the bookshop Saraiva, FNAC, and airside, along GRU Avenue, can be found Amsterdam Sauer, Kate Spade, Lacoste, Track & Field, Coach, Burberry, Emporio Armani and Victoria’s Secret. Star Alliance has also opened its new Lounge. About 1,350 square meters in size, the lounge can accommodate up to 295 guests and is open daily from 12.00 noon to 03.00. 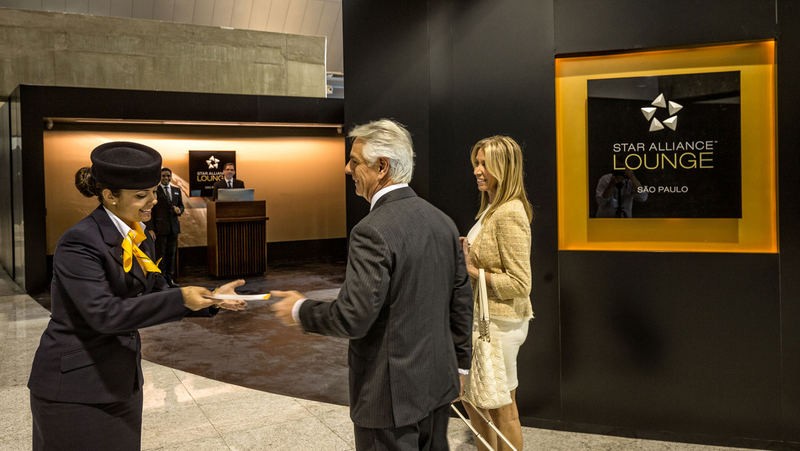 Access is for passengers traveling on Star Alliance member airlines from Guarulhos in First or Business Class or holding Star Alliance Gold Status. 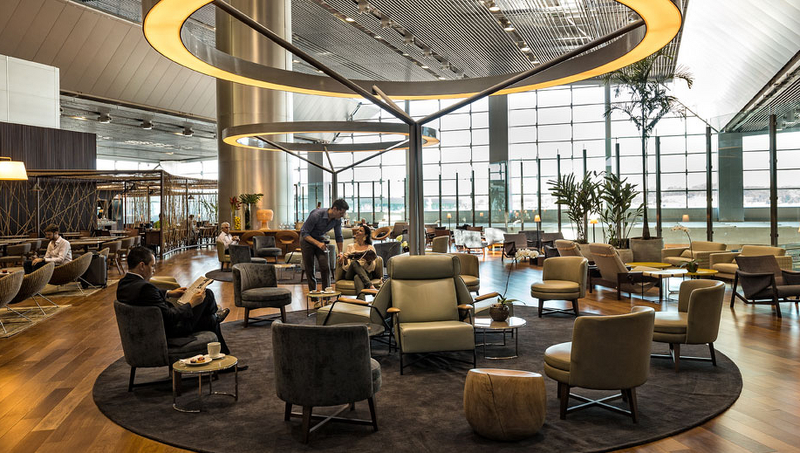 The lounge is located on the mezzanine level, overlooking the atrium and the airport apron beyond, and can easily be reached by escalators or elevators. In line with the new Star Alliance lounge concept, local touches and flavours have been combined with global branding elements. This has allowed for the creation of a very Brazilian look and feel, reflecting a strong artesian heritage. The use of wood, rope, natural fibers and typical ceramic finishing bring coziness to a sophisticated interior and provides a relaxing and welcoming atmosphere to customers. 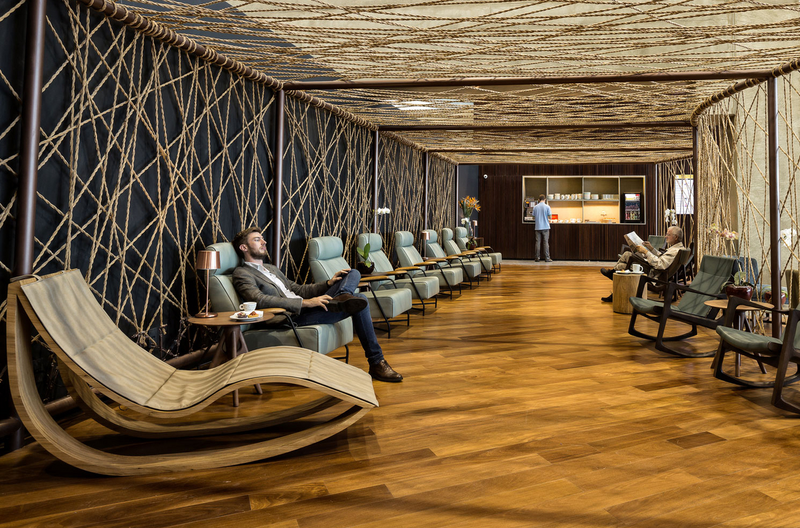 The lounge was developed and is operated by In Flight Solutions Brasil on behalf of the Star Alliance. For those wishing to work, free Wi-Fi access is provided throughout the lounge, with convenient power and USB outlets available. A dedicated business center and free Wi-Fi printing is also provided. This entry was posted in Brazil, São Paulo, Transport and tagged Brazil, Guarulhos, São Paulo, TAM Airlines by Critical Divide. Bookmark the permalink.